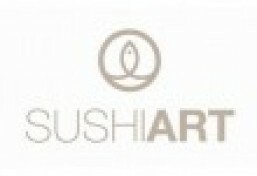 SushiArt is currently closed for delivery and it will open at 11:00 AM today . Any 12 or 15 pieces sashimi or tataki ordered at lunch hour* is served with your choice of 2 side dishes from : cabbage salad, carrot salad with citrus dressing, coleslaw wasabi salad, edamame, rice or soup. Salmon, tuna, seabream, shrimp. Any 12 or 15 pieces sashimi or tataki ordered at lunch hour* is served with your choice of 2 side dishes from : cabbage salad, carrot salad with citrus dressing, coleslaw wasabi salad, edamame, rice or soup. Ponzu sauce, coriander, green pepper. Any 12 or 15 pieces sashimi or tataki ordered at lunch hour* is served with your choice of 2 side dishes from : cabbage salad, carrot salad with citrus dressing, coleslaw wasabi salad, edamame, rice or soup. Seared salmon, chilli, spring onion, yuzu miso sauce, coriander, chives. Any 12 or 15 pieces sashimi or tataki ordered at lunch hour* is served with your choice of 2 side dishes from : cabbage salad, carrot salad with citrus dressing, coleslaw wasabi salad, edamame, rice or soup. Seared tuna, chilli, chives, yuzu miso sauce, crisps. Any 12 or 15 pieces sashimi or tataki ordered at lunch hour* is served with your choice of 2 side dishes from : cabbage salad, carrot salad with citrus dressing, coleslaw wasabi salad, edamame, rice or soup. "For optimum enjoyment , heat 30 secs in the microwave"